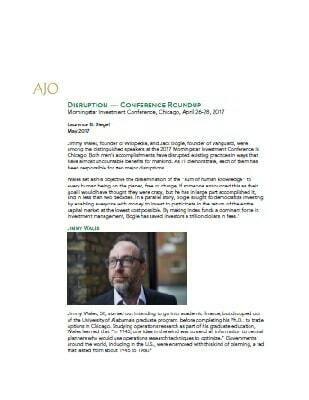 Jimmy Wales, founder of Wikipedia, and Jack Bogle, founder of Vanguard, were among the distinguished speakers at the 2017 Morningstar Investment Conference in Chicago. Both men’s accomplishments have disrupted existing practices in ways that have almost uncountable benefits for mankind. As I’ll demonstrate, each of them has been responsible for two major disruptions. Wales set as his objective the dissemination of the “sum of human knowledge” to every human being on the planet, free of charge. If someone announced this as their goal I would have thought they were crazy, but he has in large part accomplished it, and in less than two decades. 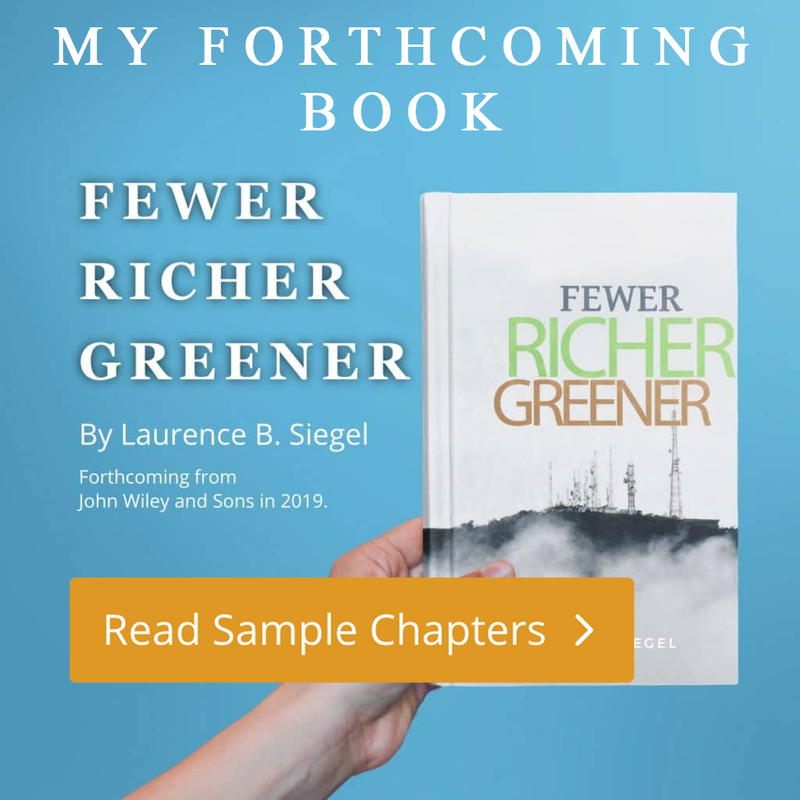 In a parallel story, Bogle sought to democratize investing by enabling everyone with money to invest to participate in the return of the entire capital market at the lowest cost possible. By making index funds a dominant force in investment management, Bogle has saved investors a trillion dollars in fees.